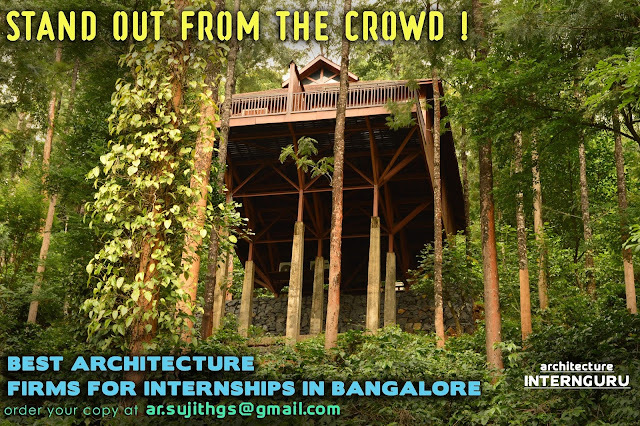 Bangalore is a very happening city, a city where one can really enjoy your architecture internship while at the same time working in a great architecture firm. There are numerous architecture firms in Bangalore. The best thing is to get internship in a really good architecture firm where you'll be able to learn a lot as well as enjoy the city and its vibrant ambience. To help students get into the best architecture firms in Bangalore for their internships, I've created an eBook on the 'Best Architecture Firms for Internships in Bangalore', which will give you a detailed introduction of the various firms, their philosophies as well as their contact details. In today's world having a great architecture portfolio can make the difference between getting internships or your first job in that great firm where the work is great and the salaries are good too. The architecture portfolio is the most important tool to get selected in the firm of your choice. So it is essential that you prepare a great architecture portfolio. Stand out from the competition by creating a great architecture portfolio. 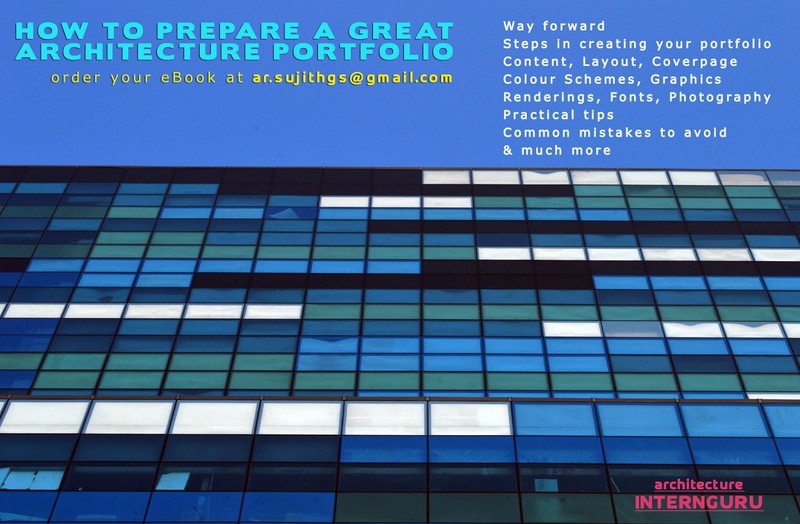 Get an in depth, step by step guide for making a good architecture portfolio. Know what are the common mistakes to avoid and get practical tips on what architects look for in a good architecture portfolio.